January 29, 2015: Kamui becomes host of Kyuubi; given to him by Bocchiere who retires undefeated. January 25, 2015: Tammy's Amai and Habu Shop opens in Sunagakure. January 16, 2015: Eric v. Masane for Gobi; Eric retains. January 11, 2015: Takaharu Chusaki sworn in as Nanadaime Kazekage of Sunagakure. January 1, 2015: Sabumaru v. Madara for Nanabi; Madara win. Madara becomes host of Nanabi. December 30, 2014: Tammy passes the genin exam in Sunagakure. December 23, 2014: Athos v. Bocc for Rokubi; match end in draw, Athos retains. December 19, 2014: Belphegor v. Machina for Nibi; Belphegor retains. December 15th 2014: Shadow gifted Athos the Saiken. December 8, 2014: Ryoji v. Ichirou for Reibi; Ryoji retains. December 2, 2014: Eric v. Ichirou round 2 for Gobi; Eric retains. November 24, 2014: Kaguya Mioku, Head of the Seven Swordsmen of Mist, Rin, and Jin from Kirigakure arrive in Suna to discuss aid agreements with the Kazekage. November 23, 2014: Yomi returns to Sunagakure Where she had formerly served as village ambassador and archivist at the Grand Library. She seeks to research in the Library, and probably work under old man Kasigi Yabu once more in exchange for knowledge. November 21, 2014: Eric v. Athos for Gobi; Eric retains. November 18, 2014: Valdex and Kayenta Moenkopi find out their brother Shin Ryuuachi has died mysteriously. November 17, 2014: YoshiChikitada discovers a caravan being attacked by 4 great sandworms though the link with his hunting bird, Aquila. The subsequent alarm is ignored but somehow the caravan makes it to Suna alive. November 17, 2014: Kaiten Master Kite, Mirasutinga Valdex, and Kayenta Moenkopi head out for the Desert Temple Oasis. November 4, 2014: Suna prepares the village to withstand the seismic activity that will result from the raising of the Desert Temple Oasis. Those who participate are: Valdex, Kayenta Moenkopi, TakaharuChusaki, Inu, Moonfire 'Silver', Shiro, and Sunauto. October 29, 2014: Eric v. Ichirou round 1 for Gobi; Eric retains. 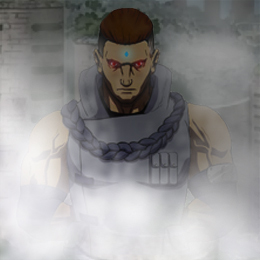 October 29, 2014: Uzumaki, Yoshira meets with Nidaime Kayenta Moenkopi and becomes a member of Sungakure. They never learn they share a brother, Sabumaru, for the young wanderer leaves before such things are discovered. September 15, 2014: Eric v. Seraph for Gobi; Eric retains. September 13, 2014: Uotaki Rin is captured by Kamui and handed over to Soya for infiltrating the outskirts of Otogakure. September 1, 2014: Jichou Raihana arrives in Kumogakure from the Kaminari Den (Palace of Thunder) monastery located above the lightning plains north of Kumogakure where the Ikazuchi Order of monks reside. She is sent by her order to hire Kumo for a retrieval mission of a large Emerald Stone that was stolen from the monastery. August 31, 2014: Night, host of Matatabi, arrives in Kumogakure. August 22, 2014: Takahashi Mariko makes it back home to Kumogakure from Konoha after Kite places the Side Branch curse seal on her. August 14, 2014: Kumogakure endures worsening rock trolls raids, launches investigations and counter measures. Marauding band of Rock Trolls face off against the Rokudaime Raikage Koji, with his body guards Yugito and Harue, and further aid from Warren and Rinoa with Bahamut. August 7, 2014 Warren and Rinoa free Bahamut recovering the Red Ruby; one of the Desert Temple Oasis Altar stones. This occurs south of Yamagakure at the northern edges of Wind Country's sands and the mountain ranges beyond. August 2014: Mioku returns Samehada to Isaribi. December 08, 2013: Warren returns from the northern glacier fields having retrieved one of the Desert Temple Oasis Altar stones; The Diamond. Fall 2013: Godaime Otokage Hazama is crowned. Summer 2013: Otogakure army moves eastward and conquers the Land of Hot Water. Heavy fighting occurs with Yugakure, before it is captured. Spring 2013: Under threat of war, the Yondaime Otokage is able to convince the Nidaime Kusakage of letting Kusagakure becomes a territory of the Sound. January 17, 2013: Sunauto Inuzuka became leader of the Inuzuka clan. Inuzuku Clan moves to Sunagakure. January 17, 2013: Rokudaime Mizukage Xiarawst Uchiha robed as 6th Mizukage. Winter 2013: Citizens of the Sound move back to Otogakure. June 2012: Yondaime rigs Oto and neighboring mountains with explosive tags that will only go off at his signature. 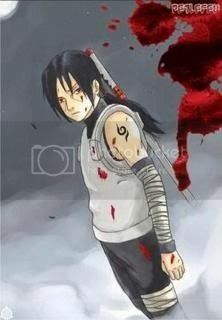 April 15, 2012: Eric Nara completes the mission "Scroll Hunt" in which he had to retrieve a secret scroll which was stolen from Konoha by powerful rogue ninja. April 13, 2012: Round 2 of Rokubi Bijuu match between Jinchuuriki Mangetsu and the Challenger Bocchiere. April-May 2012: Having left the village, the Land of Sound's three main hideouts are created Kurai Kakurega, Mauntendoa, and Kōkan no Kakurega. Arpil 7, 2012: Otogakure Abandoned: The Yondaime Otokage, Trev, evacuates the village herding all the villagers off into the surrounding mountains. March 22, 2012: Nathan Stamper completes "Spy on My Sister" mission for Teuchi, the man who runs Ramen Ichiraku in Konoha. March 13, 2012: Mokushiroku attacks Kirigakure. March 14, 2012: Public Forum of Bijuu Council Held. March 13, 2012: Round Two of Jounin Exams begins. March 12, 2012: Boshikatei Hailen of Suna meets Cyphrian Gavril, a foreign explorer of the realm. March 8, 2012: Bocchiere becomes a missing nin after leaving Kumogakure no Sato. March 8, 2012: After being captured by Kumo, Shadowfire, of Kiri, is tortured and dies in captivity. March 4, 2012: Godaime Reaikage Zenaku returns Kayenta's children to Suna. Koji accompanies him. After meeting with Kayenta and the Yondaime Kazekage, Raijin Hikari, the Kumo nins depart leaving the children behind. March 3, 2012: Godaime Raikage Zenaku defends Kumo's claim to the Bijuu Nanabi against challenger Solo Uchiha. Zenaku wins. March 3, 2012: Miyuki Uchiha and Zetsu clear out a bandit den near Otokagure. March 3, 2012: Round 1 of Rokubi Bijuu match between Jinchuuriki Mangetsu and the Challenger Bocchiere. March 2, 2012: Miyuki Uchiha babysits the demon children of the Nidaime Kazekage taking them to Kumogakure. 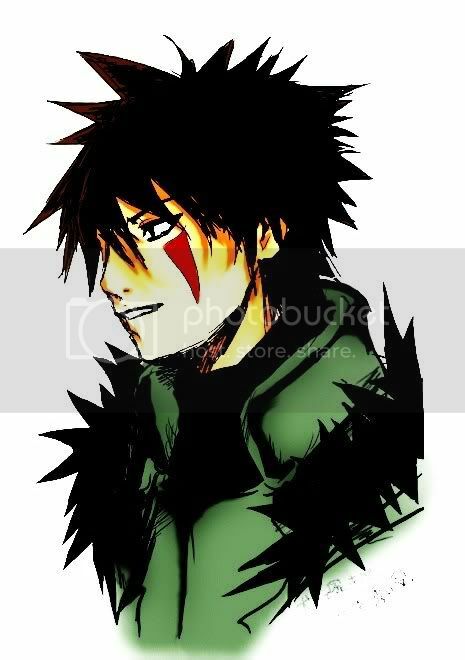 February 20, 2012: Godaime Raikage Zenaku takes Shadowfire, member of Kiri ANBU and Black Ops, captive. February 14, 2012: Kumogakure's first attack upon Kirigakure in the war. February 11, 2012: Mission Board opens up on Shinobi Forum. February 6, 2012: Jinchuuriki Yugito vs challenger Luka for Bijuu Nibi. Yugito wins. February 2, 2012: Bocchiere and Yugito train up in the mountains of Kumo after she is made Jinchuurki of the Nibi. Between February and April 2012: Nidaime Otokage disappears, with little forces remaining in Otogakure, Trev is able to take power and crowned Yondaime. January 23, 2012: Kumogakure attacks Konohagakure in the war. January 20,2012: Kumogakure attacks Sunagakure in the war. January 18, 2012: Hiro Toranaga of Kiri taken prisoner by Yugito and transported to Kumo. January 16, 2012: Nidaime Raikage, Raifudo Makashi, comes to Otogakure to rip out the heart of the his brother, the Nidaime Otokage, Mangetsu. He is met by Trev and Takahashi Mariko who informs Raifudo that Mangetsu is away for two weeks and that he cannot enter the village. January 12, 2012: The Nidaime Otokage, Shinro, takes up the mantle of Otokage once again. January 11, 2012: Belphegor destroys Otogakaure beneath a crystal dome. He turns himself in to Takahashi Mariko who takes him into custody clamping a chakra stilling leash about his neck. The device prevents him from molding chakra without her express command. Leader of the Akatsuki, Kage, gives Mariko the Otokage's hat and proclaims her to be Otokage. She takes the hat but refuses the office on the basis that only the Nidaime Otokage has the right to name a successor and that she does not recognize the Akatsuki's authority over Otogakure or to make such an appointment. January 11, 2012: Rokubi Bijuu match between Jinchuuriki Bocchiere and the Challenger Mangetsu. Mangetsu is the winner and new Rokubi host. January 10, 2012: Rather than go through with the attack upon her home land, Takahashi Mariko leaves Kumogakure and returns to stand as a defender of Otogakure. January 10, 2012: Isaribi is assaulted by Bocchiere for Samehada. Isaribi is recovered by Ranketsu. Godaime Mizukage Ranketsu trades Samehada to Bocchiere for 10 Sharingan eyes [all but one pair are Mangekyo] and 4 Rinnengan eyes [these can only access the Tendo]. January 6, 2012: Elder Koji attacks Sunagakure. Late October 2011: Shiizuki surrenders the position of Hokage to Yuumei before disappearing. Genesis is incorporated into Konohagakure, and the local Kage count is rollbacked (from Rokudaime) to Godaime. September 13, 2011: Zenaku inherits the Kyuubi from Raifudo. Jinzo inherits the Hachibi on behalf of Tetsujin's absence. 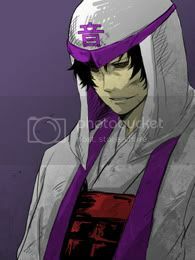 Late July, 2011: The Hokage Tomi declared a traitor to the Alliance of Nations that had bound together to defend against Genesis and his assassination is contrived. Late July 2011: Genesis is established. Genesis occupies Konohagakure, and is temporarily allied with the Leaf. Mid June 2011: Suna shinobi Murciélago [AKA BryantheExiled], and long time citizen of Otogakure, leads a rebellion against the Akatsuki and Otogakure is liberated. 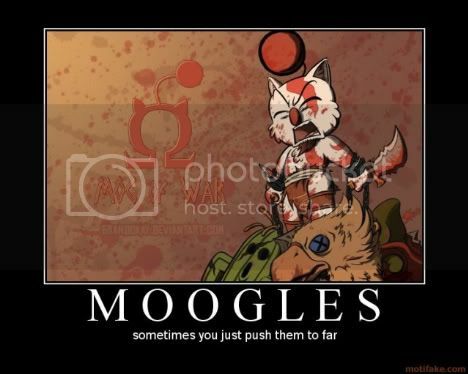 Murci becomes a temp Kage until Shadow returns. Late May 2011: Akatsuki invade Oto and take control of the village, the Kage is still away and the shinobi of Oto dare not stand up against its oppressors. Early May 2011: Otogakure is finally rebuilt with some new upgrades such as metallic walls to rival any other villages! Early April 2011: Bocchiere's Akatsuki, [AKA Suki]. attack a very weak Otogakure that has a weak military and the Kage Shadow is inactive. The terrorist group flood and destroy Oto. Jan 27th, 2011: Zeromi takes Dizzy's place as possible Kage. Eventually this runs to Shiizuki, and then to Yumei. Jan 25th, 2011: The deals between Zenaku and Dizzy allow Kumogakure the first crack at Hachibi, which initiates Kumo's collection of the bijuu. Jan 20th, 2011: By this date, Tommi has retired as Kage and Dizzy is the initial nominee (he is, for whatever reason, omitted from Konoha's "transitional Kage" list). Ranketsu orders a ceasefire against Konoha momentarily. Tommi is shortly thereafter "resurrected" with the Rinnegan in some plot contrived between Dizzy and Zenaku. January 19, 2011: Sandaime Mizukage Cmage trades Hiramekarei to Tetsujin in exchange for the Gobi. Jan 18th, 2011: Godaime Mizukage Ranketsu and Tommi meet. Ranketsu attempts to subdue Tommi, who is able to escape. Jan 13th, 2011: Mioku, Isaribi, and Cmage aerially invaded Konoha. They found both Makoto and Tommi to be "on vacation" in Otogakure. They razed the village. Jan 10th, 2011: The Seven Swordsmen of the Mist, with the permission of Mizukage Ranketsu, begin preparations for an invasion of Konoha. The invasion's intentions changed over the course of a few days, ranging from kidnapping Makoto to killing Tommi. 2011? (maybe): Shadow helps the previous Tsuchikage Stark become kage of Iwagakure. March 30th, 2010: Cmage gives Samehada to Isaribi. July 11, 2010: Kayenta Moenkopi signs and receives the snake summoning scroll from Seizen. Her name is preceded by, Seizen, Madara, and Taumaster. This is the actual date, But due to a clerical error, Gyruru denied the claim and it was not re-established until 3 months later. The Apes scroll was denied her, as at the time only one summons was permitted. This was returned to Seizen. So a false date of October 11, 2010 was used. September 19, 2009: Valdex and Kayenta Moenkopi retrieve a scroll stolen from the Ryukage's office. September 17, 2009: Kayenta Moenkopi takes an artifact from her dead husband's reliquary to Ryuuachi and Luka Half Dragon to see it they can break the seal which keeps it locked. Upon opening the locket they enter a hostile land and battle their way through numerous enemies to retrieve the Giant Scorpion Stinger Sword that Tanarri Kelvezu had crafted. The weapon is evil and quite harmful to whomever wields it. September 13, 2009 The ancient being that is Sepulcre stalks the children and weak of Sunagakure stealing them to use their life force to feed and increase his longevity. Those who battle against this vile force are Tanarri Kelvezu, Kayenta Moenkopi, Inu Hanyou, Mokoto, Takahashi Mariko, Syaoran and TheWhiteFangeof Kahona. July 22nd, 2009: Isaribi is challenged by Kamui for Sanbi. Kamui wins. Sanbi is given to Ranketsu. August 31, 2009: Jinchuuriki Triple Blitz and challenger Mei in Bijuu match for the Rokubi. Blitz defends his status. August 14, 2009: Mokoto places seals upon Kayenta's home that will drain chakra from an intruder to the point of death. August 8, 2009: Kazigi Omi, medical nin to Kazangakure no Sato, rescues a four man recon team from Kumo who had been effected by some biological agent that caused them to react violently and behave erratically. The virus was contained and his village team returned home safely. August 6, 2009: Aridoku mission comprised of Plur, Arron, Aron and ShimaUmioso, to infiltrate Kumogakure. The mission was to stop a four man team from reaching the Daimyo with intel on Aridoku's movements in the area. This was successful and their plans remained secret. July 18, 2009: Aridoku infiltrate Kirigakure on a mission under the leadership of Taumaster. The team is comprised of TheWhiteFangofKahona, Shinsei and ShimaUmioso. The objective is to steal Samehada. They slip in and kill as needed but the mission had to be called off before completion. A child was slain that night by the hands of Fang. July 15, 2009: Dragon Flame Guardian Zenaku, Shadow Storm Mei, Elemental Deviant Daichi and Emerald Flame Takahashi Mariko quest for the Ice Dragon. April 17, 2009: Kayenta Moenkopi takes a slash to her ribs and gets paralyzed by raiton attack training with her sensei Triple Blitz. He cuts her tesla staff in two. October 20, 2008: Ranketsu becomes 6th Seat of the Seven Swordsmen of the Mist. September 14, 2008: Sandaime Mizukage Cmage becomes the Jinchuuriki of Yonbi. July-August 2008: Varu becomes Jinchuuriki of Hachibi. May 2, 2008: Kiri officially wins the war. April 23, 2008: Suna and Konoha refuse Sound's help. April 19, 2008: Kiri refuses the Sound's help. April 15, 2008: Suna accepts Konoha's help. April 5, 2008: Begin of Suna-Kiri War! 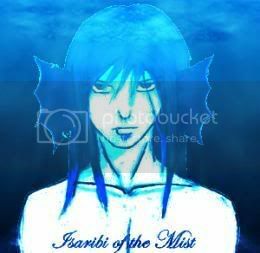 Late 2007: Isaribi becomes Jinchuuriki of Sanbi for the first time. I honestly didn't know we had a timeline thingy. This is good though. Maybe it should be put on the Wiki too? Now I need to find exact dates for things. Oh it was mentioned somewhere here in another thread from 2012 as well. Exact dates are not required though. We can stick them in through relative dating such as at the bottom there where it shows Cmage being named as Mizukage? It sammiches in between this and that. The more people post and discuss the more we will be able to recall and place in its proper order. Kiri holds snow viewing festival? Or is that too menial. Kumo raids rock troll main lair to recover treasured gemstone of local monks? I think that'll do for a start. I've got some stuff. They are mostly Kiri related, and stuff I have archived. So, a lot of it has to do with me specifically. Jan 10th, 2011; The Seven Swordsmen of the Mist, with the permission of Mizukage Ranketsu, begin preparations for an invasion of Konoha. The invasion's intentions changed over the course of a few days, ranging from kidnapping Makoto to killing Tommi. Jan 13th, 2011; Mioku, Isaribi, and Cmage aerially invaded Konoha. They found both Makoto and Tommi to be "on vacation" in Otogakure. They razed the village. Jan 20th, 2011: By this date, Tommi has retired as Kage and Dizzy is the initial nominee (he is, for whatever reason, omitted from Konoha's "transitionary Kage" list). Ranketsu orders a ceasefire against Konoha momentarily. Tommi is shortly thereafter "resurrected" with the Rinnegan in some plot contrived between Dizzy and Zenaku. Late 2007 - Isaribi becomes Jinchuuriki of Sanbi for the first time. July 22nd, 2009 - Isaribi is challenged by Kamui for Sanbi. Kamui wins. Sanbi is given to Ranketsu. March 30th, 2010 - Cmage gives Samehada to Isaribi. Jan 10th, 2012 - Isaribi is assaulted by Bocchiere for Samehada. Isaribi is recovered by Ranketsu, who trades Isaribi's weapon, Samehada, to him for a set of eyes. August 2014 - Mioku returns Samehada to Isaribi. Oh this is wonderful stuff guys. Thank you! I'll try to get some things up on Oto, if I can, but in the mean time, get this easy stuff out of the way. I'll try to list some Konoha stuff later. I want have dates though cause I don't remember even what year most stuff happen. After awhile things became a blur and the last ten years just started to run together. May modify this post eventually, so keep an eye out. I'm afraid I don't have much dates saved and I'm sure other peoples sources might be more reliable. Events are the main thing...big or small in your own life. We can wedge them in between other events as they fit. I was a jink twice. Not sure about months. Will update once I figure 'em out. From June-July the Nibi maybe and saiken from october to december 15th I think. More stuff for Oto, specifically me. Between January and April 2012: Nidaime Otokage disappears, with little forces remaining in Otogakure, Trev is able to take power and crowned Yondaime. (Old Pete wasn't around that long, prob a month if memory serves. So could prob called this February 2012, or March 2012 to be safe. I'll go bug Kamui and Haz for more. September 13, 2014: Uotaki Rin is captured by Kamui and handed over to Soya for infiltrating the outskirts of Otogakure. Sometime after this Kamui is betrayed and Hazama, Soya...others...seek to overthrow Kamui. Vex is the lone defender of Otokage Kamui. Kamui and Hazama face off with Hazama being victorious. Details and names need to be added here. Dart leaves Kiri for training. Dart returns from training hiatus. Promoted to high ranking official. Rakudo stirs up Konoha with solo attack for Isobu. Rakudo secures Matabi. Subsequently loses to Tsuyo before host is chosen. Rakudo steps down from being jinchūriki and quits the scene. Gyūki host debated. Isa and Dart fight over Adge. Strangely, beginning of their renewed friendship. Dart undergoes Kimura transformation. Helps Isa retrieve items from his sunken ship. Gifted Hōzuki. Dart constructs coliseum in remembrance of his clan/lineage. Yumei brings in Ichiraku Ramen Stand. Dart becomes jinchūriki of Gyūki. Isa challenges Yujō for Isobu. Isa wins. Kiri gains Matabi. Host to be determined. Mioku and co. leave for diplomatic mission in Suna. Xia and co. leave for robing ceremony in Suna. Xia and other high ranking officials delayed on their return trip home, still. Dart and Isa to deal with Matabi. Dart accepted challenge from Hazama for Gyūki.